I would like to speak about a certain Emo-Romantic turn that manifests itself with the accentuation of expression, authenticity, sincerity, and emotionality. As those tendencies have always been present in art, some of the manifestations may be hard to justify as a coherent trend. Justifying them is nonetheless not the aim of this article. Rather, I would like to show, with a series of quick observations and associations, how a certain lyrical intimacy may be resulting from the state of contemporary art and as a reaction to the current problems we’re all facing. The majority of the artists included in Kleefeld’s trilogy were around forty years old at that time, including some already historically significant ones—for instance, Jutta Koether and Mike Kelley. This created some interesting three-generational links, although only a few young artists were involved, such as Veit Laurent Kurz, Ben Schumacher, and Stefan Tcherepnin. Ben Schumacher is one of the stars of the post-Internet movement, entering Bortolami Gallery at an early age, his works often categorized under the infrastructural turn, with the interest in exploring the invisible veins and intestines of civilization, when the shiny, perfect surfaces of post-Internet started so suddenly to degrade, and those backstage were often pragmatically called “plumbers.” Schumacher, however, rapidly changed his terminology to something that, mainly in connection with Veit Laurent Kurz, could be called “new vernacularity.” Also, to a certain extent, he withdrew from the spotlight and slowed down the pace of his exhibitions. In the text, resembling an absurd playscript, to the November 2017 exhibition with Kurz, called Almenrausch (from the German Alpenrose) at xyz collective in Tokyo, we can read, “Look son, just look around, look at the buildings. They get built and in the moment they are finished. They already look old. Time is relative. So now look at me. I seem to be an old lady. But I actually have the spirit of 14 years old. Old is the new young.” The exhibition consisted of a rather improvised-looking cardboard set of German-looking timber houses squeezed into the tiny gallery space, with some “KOBAN” graffiti tags on their facades; a series of Kurz’s drawings of somehow utopian square or parklike but also overall half-timbered urban spaces, some with a figure resembling a sorcerer; patchwork sewn jackets on coat hangers resembling the clothes of the sorcerer; and Schumacher’s typically degraded, eroded, parts-missing figurative paintings. Marek Delong and Anna Slama’s project Sugar Hunter’s Feast, which I saw for the first time as a video projected on the dark, dusty wall of functionalist Kino Metropol in Olomouc, in the Czech Republic, during the PAF animated film festival in 2017, brings together the work of six visual artists. 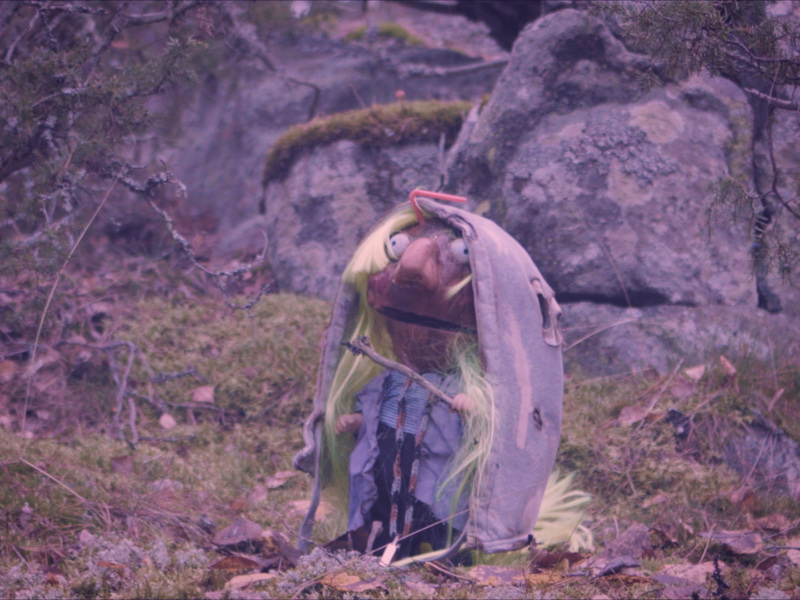 In addition to Delong and Slama, the work features Isabella Rodriguez, Bora Akinciturk, Wally Petrushenko, and Leon Eisermann, with text by Keiu Krikman and soundtrack by Nurse Stocking; camera and editing were done by the artists and voice-over narration by Martin Nytra. Delong and Slama animated the artworks, mainly small sculptures, in the sense of animation technique in the movie and also literally, as the sculptures start to move and speak. As the authors mention in the accompanying text, they become “characters, not just representations.”15 Although there is a voice-over leading the viewer through the forest fairy tale, and the artworks/characters are given roles, the pervading tone is much more musical and emotional than narrative, and the language remains in the descriptive dimension, serving to create feelings rather than concepts. The nicely broken voice-over ends in the final onomatopoetic sequence: “Saccharine dreams, unravel the edges—cloaked, but not weighed down, and with just enough skin shed—to fit through and move with ease—flattering through with groveling hands—slow steps, slime trail.” One cannot not think of ASMR (autonomous sensory meridian response) videos, although the general stylization is also a mixture of animated movies for kids and toddlers and surrealist poetry and still escapes those explications—is simply somehow caressing and enchanting. The authors themselves play in the film, slowly touching the artworks and dancing but not speaking. The project is available on the platform Tzvetnik in its interactive website version, where one can watch the video, read the accompanying text, and also click to enlarge photos of each of the separate works, each stylistically portrayed in the forest setting. A comparison with the 2013 Jasper Spicero project Open Shape suggests itself. Composed entirely of 3D printed objects by eighteen different artists, including Spicero himself, and divided into three parts, the exhibition mainly existed as photo documentation of the artworks stylized in three different children’s playgrounds in winter, spring, and fall. 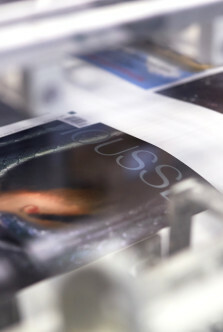 The selection was presented in its material version at the New York City Frieze Art Fair on May 10, 2013, and thereafter was offered for printing on demand via a 3D printing company website. A techno-optimism purchasing utopia, proposing an artwork as an immaterial code materialized for the price of its production costs, suffered some cracks already at the point where the artists’ names were not present on the e-shop interface. 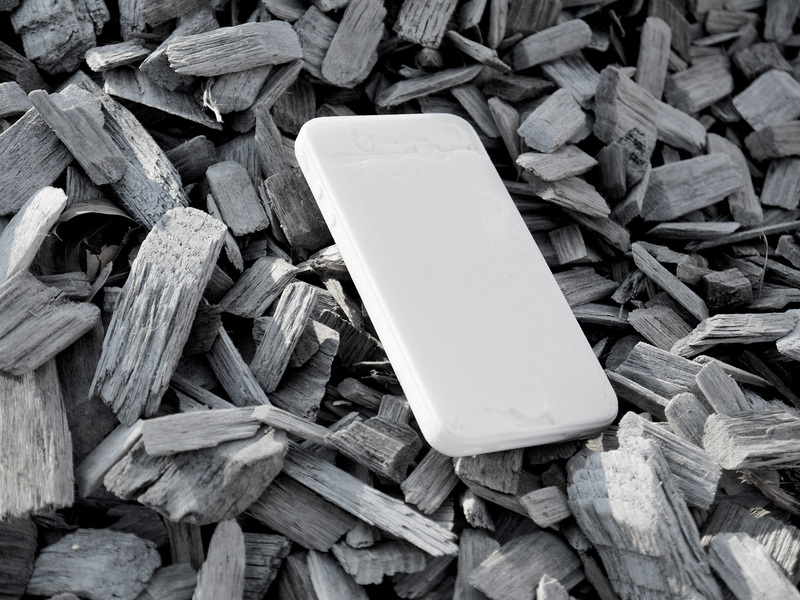 It was probably not to fool the buyers into thinking that they could really buy the Yngve Holen sculpture but only a 3D print of broken-screen iPhone 4. This comparison’s aim was not to criticise Open Shape, rather to show how quickly the discourse changed from the accent on technology to accent on emotions. Spicero himself already in 2014 created “Centers in Pain” multifaceted project, that used never open prison in Portland as a stage set for a video that doesn’t hide its sentimentality and Spicero’s sculptures balancing between hospital furnitures and antropomorphic characters. While Open Shape was structurally about distribution and purchase, Sugar Hunter’s Feast is about expression and reception. Maybe paradoxically, Open Shape underlined the real existence of the objects as commodities, whose status the virtual presentation served. The objects in Hunter’s Feast, on the other hand, exist much more in the realm of the fairy tale, their capacities conflated here. Their actual physical existence is reduced; they become dead props, souvenirs we may cherish in the memory of the film. While in the case of Open Shape, the project dealt with change of stylization and change of context, Hunter’s Feast changes the discipline. Even though someone may oppose that it is also about the product placement, the result is not about exposure of marketing mechanisms but about creating emotions. Maybe it is not the most important point: that this approach could change the forever repeated impermeability of contemporary art to the wider public. That the children could really like it. The techno-focused generation of post-Internet art achieved this already, and it may be precisely this that gave them the certainty and assertiveness. As Oliver Laric mentioned in a 2011 interview for Artpulse about the success of his early work 787 Cliparts (2006): “On some days it had more than 30,000 viewers. This was an exciting experience and made me realize that my website is not a space of representation but of primary experiences… It also landed on the front page of YouTube. By now there are over 1,500 comments, a type of feedback that I have never experienced in a gallery context.”16 What the Emo-Romantic turn may change, and I hope for this, is that contemporary art stops being a rat race of Brad Troemel “Aesthletes” who may be subverting and exposing but are finally up to their necks in following the competitive logic of neoliberal white male power games. As Simon Denny said in Blouin Artinfo in October 2014, “I’m a fan of the tech world and it’s a hard world to enter from the outside. There are a lot of values that are similar to art values, I think. Like, innovation is really key.” Maybe the key is inclusion, so that what expression-based art could propose is to open contemporary art to other contemporary arts, which until now haven’t been offered the same resources and attention, and maybe even to finish the destruction of (in any human or, if you wish, post-human sciences) the for so long unacceptable substantialist division between inherently good or bad art, which we, in contemporary art, are still unable to overcome except with the euphemisms of relevant/irrelevant. I have consciously avoided, in this article, a focus on constituting the Emo-Romantic via artists’ names and works. As much as Kleefeld, I struggle with defining it as a style with features and key names. However, as an attitude, it may be to some extent thought of as intentional deviation and withdrawal from the “rules of the system,” and attitude that goes hand in hand with the return of the subjective but simultaneously hides your own identity accentuates community and avoids self-promotion. 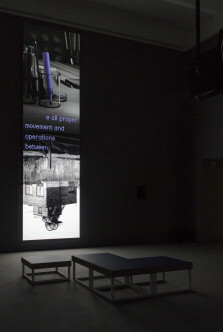 As recording and postproduction means are more and more accessible, and as space is more and more inaccessible, especially in large cities, where the density of different kinds of capital is high, pop-up style exhibition allows one to overcome not only rent but also the hierarchy of existing spaces. As artworks are massively documented but installed only temporarily, and often stored nowhere, their shape often resembles the provisionality of props, where the photographic or otherwise stylized appeal becomes primary to the “real life” one, or the light and space conditions of the white cube. A focus on small networks of friends and local communities, with often interdisciplinary crossings, allows for help and cofinancing as much as for collaboration (needless to say) when connecting different kinds of events. It is no surprise, consequently, that the morphology of many artists who could be associated with the Emo-Romantic draws on iconography associated with different kinds of classical or more recent subcultures and counter-cultures. David Foster Wallace, “E Unibus Pluram: Television and U.S. Fiction,” Review of Contemporary Fiction 13, no. 2 (Summer 1993): 192–93. 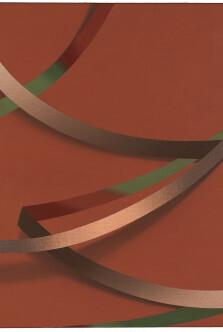 “New Sincerity,” Future Gallery, http://thefuturegallery.org/index.php?/ongoing/new-sincerity/. 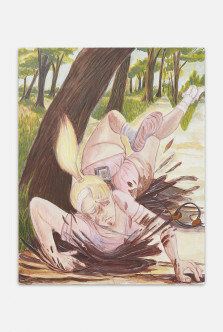 Jörg Heiser, “Emotional Rescue,” Frieze, November 11, 2002, https://frieze.com/article/emotional-rescue. Jörg Heiser, “Moscow, Romantic, Conceptualism, and After,” e-flux (November 2011), https://www.e-flux.com/journal/29/68122/moscow-romantic-conceptualism-and-after/. 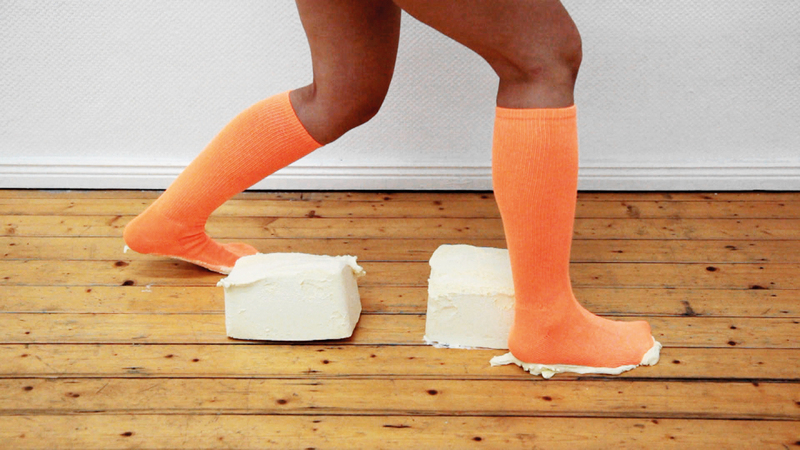 “Speculations on Anonymous Materials,” Fridericianum, http://www.fridericianum.org/exhibitions/speculations-on-anonymous-materials. 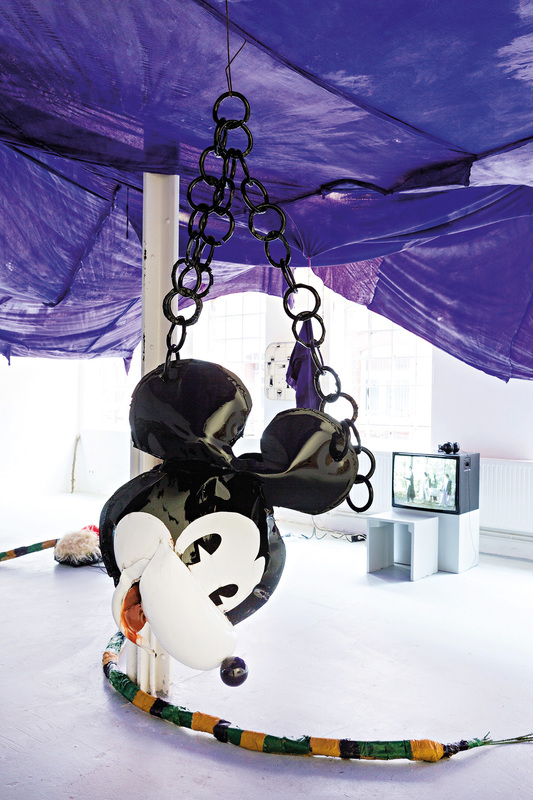 See Jason Farago, “Welcome to the LOLhouse: How Berlin’s Biennale Became a Slick, Sarcastic Joke,” Guardian, June 13, 2016, https://www.theguardian.com/artanddesign/2016/jun/13/berlin-biennale-exhibition-review-new-york-fashion-collective-dis-art. See the Art Post-Internet exhibition brochure, available at http://ucca.org.cn/en/exhibition/art-post-internet/. Louis Doulas, “Artist Profile: Jaakko Pallasvuo,” Rhizome, March 22, 2012, http://rhizome.org/editorial/2012/mar/22/artist-profile-jaakko-pallasvuo/. 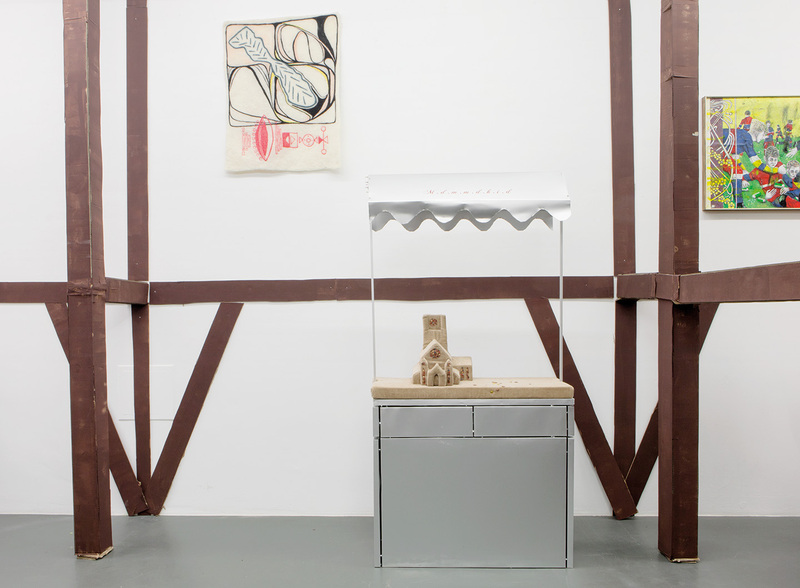 “Group Show at Halle für Kunst Lüneburg,” Contemporary Art Daily, July 17, 2017, http://www.contemporaryartdaily.com/2017/07/group-show-at-halle-fur-kunst-luneburg/. 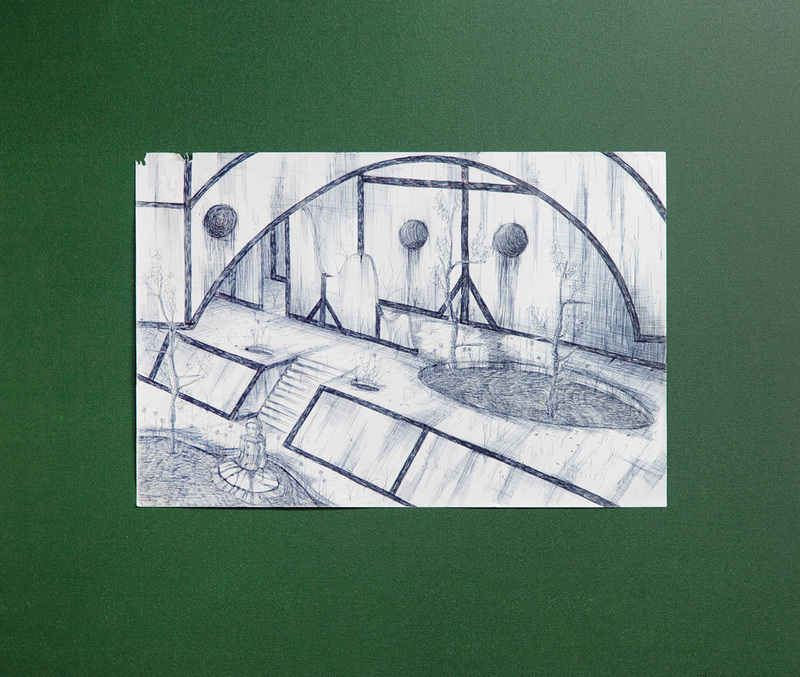 James Meyer, “What Happened to the Institutional Critique?,” Bortolami Gallery, https://bortolamigallery.com/site/wp content/uploads/2015/04/JamesMeyer_WhatHappenedtotheInstitutionalCritique.pdf. “Zur Rebschänke,” Weiss Falk, http://www.weissfalk.com/exhibitions/14-6-31-7-2017-zur-rebschanke-organized-and-invited-by-veit-laurent-kurz/. 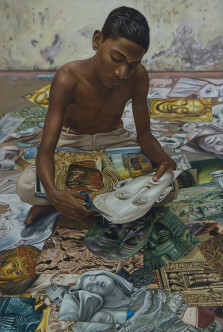 Domenico Quaranta, “The Real Thing/Interview with Oliver Laric,” http://artpulsemagazine.com/the-real-thing-interview-with-oliver-laric.